An email posted to Wikileaks from Clinton Campaign manager John Podesta’s personal email account shows Podesta sorted potential VP picks into “food groups” based on race and gender. 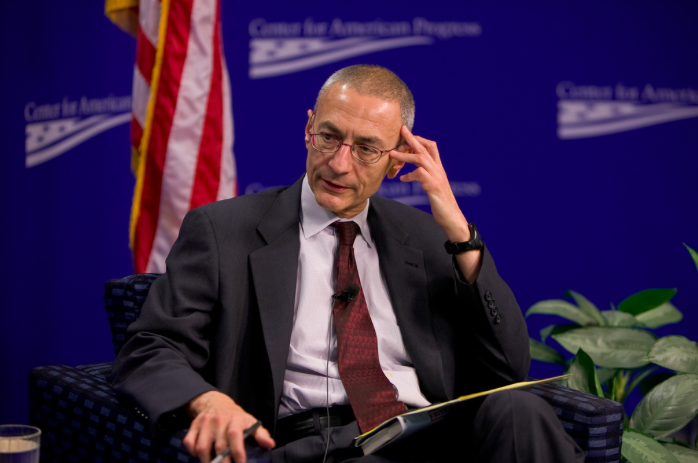 The email, sent on March 17, shows a list of names of possible VP picks that Podesta and five others collaborated on which he then says he organized into “rough food groups”. The names are sectioned out based on race, ethnicity, and gender. In the first “food group” are Xavier Becerra(whose name Podesta spelled wrong), Julian Castro, Eric Garcetti, Tom Perez, and Ken Salazar. They are the Hispanic men. The second group lists women and includes Tammy Baldwin, Kirsten Gillibrand, Amy Klobuchar, Claire McKaskill, Jeanne Shaheen, Debbie Stabenow, and Elizabeth Warren. Next, is the white men category. There he lists Michael Bennet, Sherrod Brown, Martin Heinreich, Terry McAuliffe, Chris Murphy, Tom Vilsack, and the man who was ultimately picked as VP: Tim Kaine. The black men group come next with potential picks such as Steve Benjamin, Corey Booker, Andrew Gillum, Eric Holder, Deval Patrick, Kasim Reed, and Anthony Foxx. Retired Military make a small group only listing John Allen, Bill McCraven, and Mike Mullen. Some business leaders are listed in a group of their own as well which includes Mary Barra, Michael Bloomberg, Ursula Burns, Tim Cook, Bill Gates, Melinda Gates, Muhtar Kent, Judith Rodin, and Howard Schultz. Finally, Clinton’s rival in the primary made the list as well, getting his own lone food group at the end: Bernie Sanders.